Looking for a way to take a break from the academic challenges of school? School clubs are a great way to get involved in an area of interest to you. Clubs can also be a great way to make friends and have fun! New clubs are forming all the time and one such club is The STAR club. You may ask, what is the STAR club? Well, if you thought it’s about astronomy you guessed incorrectly! STAR stands for Students Taking an Active Role. This relatively new club to the school was formed last year. Matthew Colletti, co-president of the STAR club, explained the club, its mission, and its various activities. 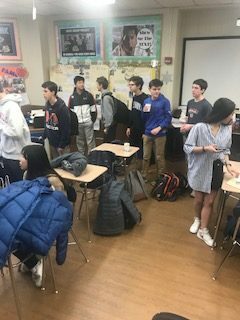 The STAR club’s mission is to increase student’s awareness of the world beyond Manhasset High School, enable students of all ages to prosper and enjoy Manhasset HS and provide a forum where students can meet new friends and have fun while also bringing about change. The STAR club provides many exciting and fun activities and events for its members. Last year, the STAR club focused on one to two activities per month; this year the club is looking to expand the number of activities per month. One such example of a STAR club activity took place during women’s history month when STAR club members created posters and hung them in various locations around school. STAR club members also sold bracelets and donated profits from the bracelet sales to various anti-bullying organizations. The STAR club has also assisted foreign students in Manhasset and introduced them to the town and our community. In addition, STAR club members serve as friends and help foreign students in their transitions to everyday life here. 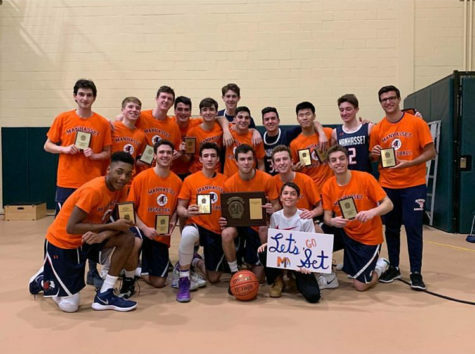 This year the STAR club would like to grow and expand not only in membership but also in activities and events that are fun and beneficial to the Manhasset community. The STAR club recently had its first meeting with a large turnout. It’s not too late to join as new members looking to take an active role are always welcomed! On an exciting note, this year the STAR club will officially be partners with the ADL (Anti-Defamation League). The ADL “fights anti-Semitism and all forms of bigotry, defends democratic ideals, and protects civil rights for all”, doing so through “information, education, legislation, and advocacy”. As a result of this affiliation, the STAR club will take on even more meaningful and powerful activities. Meetings for the STAR Club are typically Thursday or Friday morning at 7:45 in room 247. If you are interested in joining or have any questions please feel free to contact Ms. Hagendorn([email protected]).